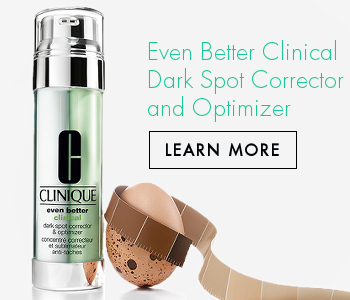 Founded on the belief that “great skin can be created," Clinique is the first dermatologist-tested cosmetics brand. Simple routines and clinically proven formulas are allergy tested, fragrance free, and bring visible results. From the latest treatment innovations to the freshest new makeup shades, everything Clinique is customized by Skin Type and concern. Clinique is 100% fragrance free. Why? Because allergic reactions cause irritation—and chronic irritation can result in lines, wrinkles and uneven skin tone.